Thus, the Schedule B form serves no purpose other than to chill free speech and potentially expose private citizens to abuse simply for holding political beliefs that someone else finds offensive. This week, while the mainstream media once again played the role of housecats chasing President Trump's laser pointer, the Trump Administration announced another substantive policy change that actually improves the way the federal government operates, and which anyone who supports First Amendment freedoms of speech and association should enthusiastically welcome. Namely, the U.S. Treasury Department and Internal Revenue Service (IRS) announced that the IRS will cease requiring many nonprofit organizations to file what's known as a "Schedule B" form. If that doesn't immediately ring a chord of familiarity, you're not alone. Most Americans have never heard of the Schedule B form or understand its significance. But the Trump Administration's action constitutes a welcome step toward preventing future targeting of private citizens by the IRS on the basis of political belief, and protecting the justifiable privacy expectations of donors to nonprofit organizations. For years, the IRS has needlessly required nonprofit organizations to file the Schedule B form as part of their annual tax filings. Among other sensitive private information, the Schedule B form lists the names and home addresses of certain donors, which immediately renders them vulnerable to targeting by IRS officials, vindictive state or local officials or even private citizens who obtain access to the information. And unfortunately, Americans have become all too familiar with precisely that type of abuse. In some instances, IRS officials like Lois Lerner have abused their authority by targeting conservative, libertarian and pro-Israel organizations. In other instances, state and local officials like disgraced former New York Attorney General Eric Schneiderman have sought to use Schedule B forms to punish organizations and citizens with whom they disagree on issues such as climate change. Exacerbating matters, that sort of targeting isn't even limited to government officials. Hackers, cyberstalkers and political extremists with an axe to grind have also gotten in on the act. As just one illustration, the National Organization for Marriage's confidential donor records were leaked, instantly making them and their families vulnerable at their homes, places of employment or simply out in public. Unfortunately, the IRS has accidentally released confidential Schedule B information in the past. In addition, conservative tax-exempt groups were disproportionately impacted by improper screening in the previous Administration, including what the Treasury Inspector General for Tax Administration concluded were inappropriate inquiries related to donors. Donor information for many of these organizations was once relevant to the federal gift tax, but Congress eliminated that need in 2015 by making gifts to many of these tax-exempt organizations tax-free. The IRS has no tax administration need for continuing the routine collection of donor names and addresses as part of an exempt organization's annual return. If the information is needed for purposes of an examination, the IRS will be able to ask the organization for it directly. Now, after years of efforts by conservative and libertarian organizations like CFIF, the Trump Administration has used its executive authority to cease that practice. Although this announcement was overshadowed by other headlines this week, the Trump Administration deserves immense credit for highlighting this issue and instituting positive policy reform. But Congress must also act, so that some future presidential administration like that of Barack Obama can't simply reverse this reform. 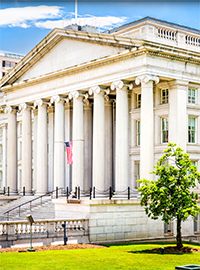 Earlier this year, the "Preventing IRS Abuse and Protecting Free Speech Act," which would permanently end the Schedule B risk for organizations affected by the Trump Administration's announcement, was introduced in the House of Representatives. The House passed identical legislation in 2016, when Senator Tim Scott (R - South Carolina) introduced it on the Senate side. There's no reason to let a permanent legislative fix slip through the cracks now that the White House occupant will sign it, so both houses of Congress should pass it without needless delay. It's an issue that claims unanimous support among conservatives and libertarians, which could prove helpful as the November midterm elections loom.